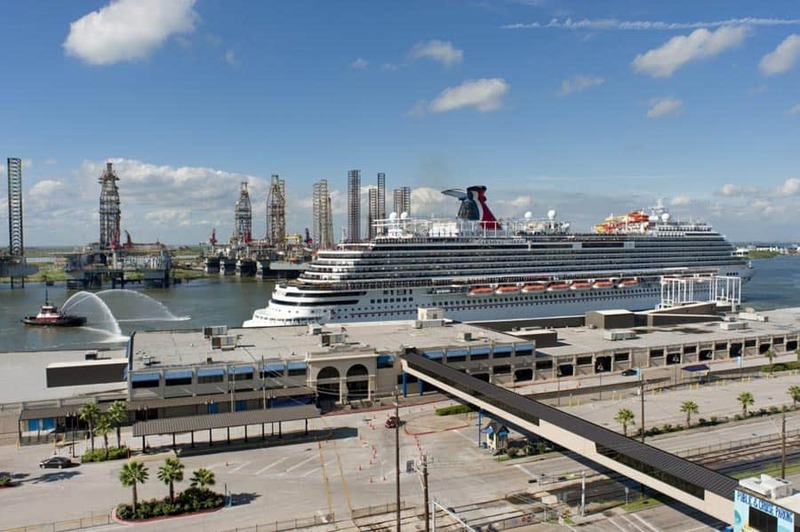 Carnival Vista has arrived at the Port of Galveston to begin sailing week-long Caribbean cruises. The Carnival cruise ship is expanding operations from the port for the cruise line after repositioning from Miami, Florida. 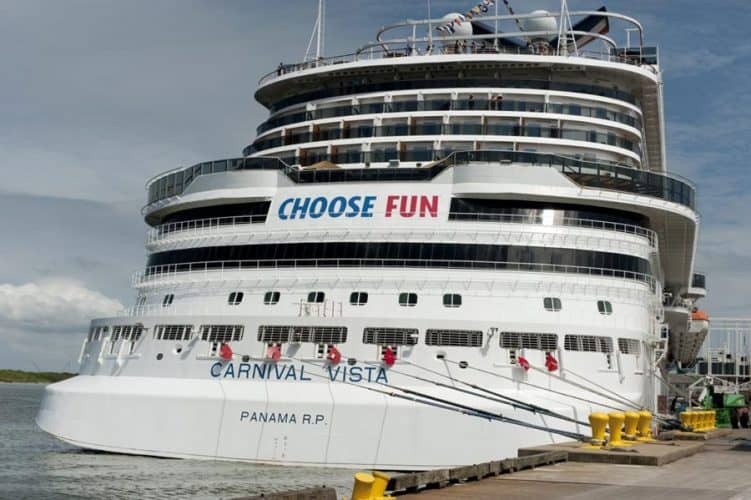 Carnival Vista which is the first in her class arrived at the Port of Galveston on Sunday to begin a new service offering year-round Caribbean cruises. The ship will expand Carnival’s operations from the Texas port and sail two different western Caribbean itineraries departing every Sunday. One itinerary will include calls in Montego Bay, Grand Cayman, and Cozumel. The other itinerary will include calls in Mahogany Bay (Isla Roatan), Belize, and Cozumel. Carnival Vista’s turn around day has been full of festivities with a special show taking place in the main theater and later a plaque presentation. 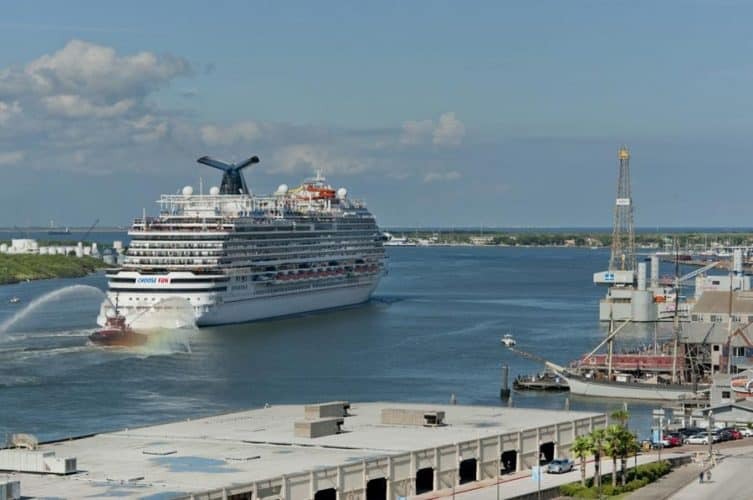 The homecoming for the ship is an important part of Carnival Cruise Line offering more choice from ports in the southeast. She is the largest class ship in the fleet so arriving at a new homeport is a pretty big thing. The ship will join Carnival Freedom and Carnival Valor sailing out of Galveston all year round. Carnival Vista debuted in 2016 and arrived in the U.S. for the very first time in New York City in November. After a brief set of sailings from the Big Apple Carnival Vista then began her new year-round service from Port Miami, Florida. Then we come to this moment when the ship now starts a new era out of the popular cruise port on the Gulf coast. Carnival Vista is one the newest and best ships in the fleet and was the first to introduce the SkyRide and IMAX theater at sea. The ship also features a small brewery with exclusively made beers, and stunning Havana inspired cabins and bar. Sister ship Carnival Horizon which is currently the newest in the fleet also had a big homecoming as she started a new year-round service from Miami, Florida. You can read all about that day right here. Carnival Vista is a 133,500 gross ton vessel and has a guest capacity of over 3,900. The ship is departing on Sunday and will complete her first voyage out of Galveston on September 30.